Tomlin is one lucky dog. The EarWell ear wipes for dogs that I reviewed may have forever changed my service dog care routine. Tomlin has adorable half-prick ears. But, as cute as they are they have a downside. Yeast can develop anytime moisture gets trapped in his ears. Sloshing in creeks, splashing in his water bowl and bathing after skunk spray can cause water to accumulate. Yeast is a given in these situations. Until now, we've been using an ear drop solution. This works fairly well when we can get it into his ear. My service dog hates it. The solution is literally only in for a split second before Tomlin shakes his head and the solution goes flying. My vet tech daughter yelled at me for using green tea (which didn't stay in any longer than the ear cleaning solution). You can see why I was happy to try the EarWell ear wipes. The solution smells good and is much easier to use than the ear drops. This ear cleaning routine is an improvement. You can see how Tomlin responds to the ear cleaning wipes in the video below. 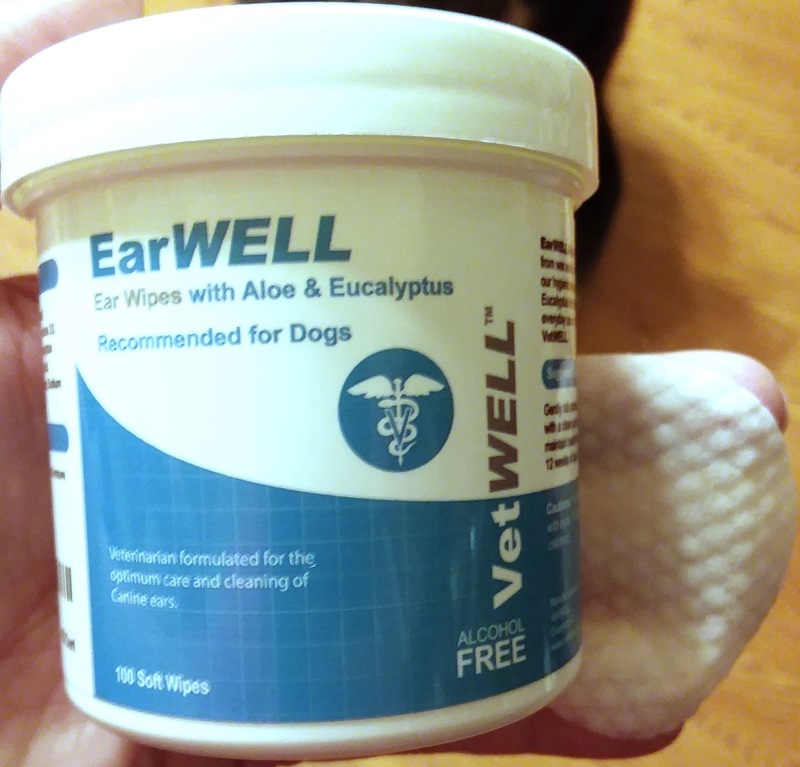 EarWell is giving a limited time, single use discount code for people who want to try the ear wipes on your pet or service dog. Just use 15RVW at www.vetwell.com to get 15% off your order. I also answered a couple of your service dog questions in the Q&A video. Comment directly on the video or the box here to let me know your thoughts and questions about service dog life. Things to consider before owning a service dog helps answer the "should I or shouldn't I question". No service dogs on this trail - why it isn't always wise to hike with your favorite four footed friend.